Police Officer Trevor Slot was struck and killed by a bank robbery suspect while attempting to deploy stop sticks on I-96 at 8th Avenue. The two suspects had robbed a bank in Ravenna, Michigan, and were fleeing the area when they were spotted by on-duty FBI agents who happened to be in the area. The agents initiated a pursuit and were quickly joined by officers from several state and local agencies. The pursuit continued along I-96 at speeds over 100 mph as the suspects opened fire on the pursuing units with a shotgun and rifle. As the vehicle approached the 8th Avenue exit, Officer Slot attempted to deploy stop sticks but was fatally struck by the vehicle. The vehicle crashed moments later and the two suspects were shot and killed as they opened fire on other officers. 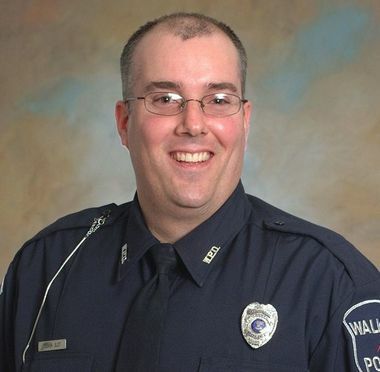 Officer Slot had served with the Walker Police Department for nine years, and previously served with the Lowell and St. Joseph police departments. He is survived by his wife and two daughters.